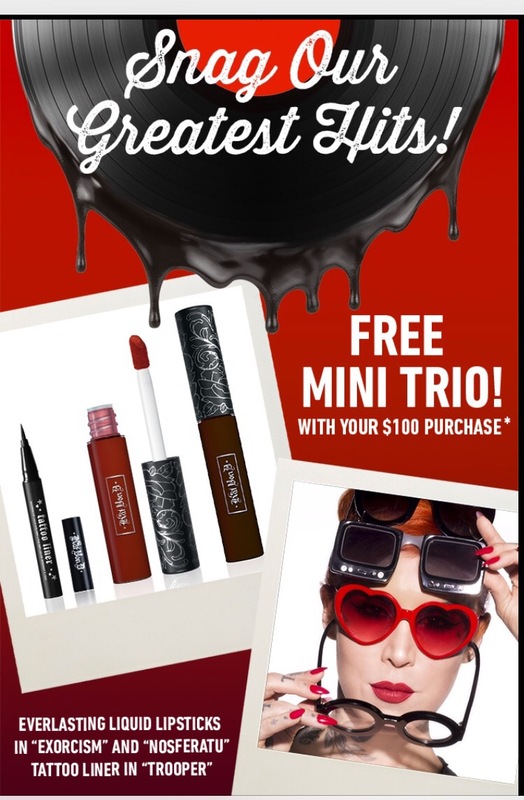 Free trio gift at KAT VON D! Spend $100 and Get Mini Everlasting Liquid Lipsticks in “Exorcism” and “Nosferatu” + Mini Tattoo Liner in “Trooper” at KatVonDBeauty.com! Available Now Through 9/5.